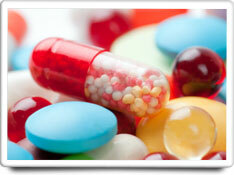 Medicines that are past their expiration dates can become chemically unstable and potentially dangerous to take. NOTE: The tasks and timings shown here for your Medicines (expired) are based on a single-family home (owned), located in Massachusetts, United States, with priority set at ‘1 star' or higher, for all possible goals. If you set your personalization differently in your Home Wizard app, then you may get reminders for different tasks and timings in your recommended home care program for your Medicines (expired). Medicines bottles should be inspected, and medicines that are past their expiration dates should be thrown out. Be sure to also check any medicines in your "emergency supplies kit". NOTE: Be sure all medicines are out of reach of children or contained in a cabinet equipped with childproof locks. The benefits of this task are moderately high. Doing this task can help prevent poisoning from out-of-date medicines which have become chemically unstable, and from the risks of not getting the full expected benefit of the medications that you are taking. The cost of this task is very low. It is estimated that this task should only take about 30 minutes to complete, and the task is relatively easy to do. No specialized tools are required.